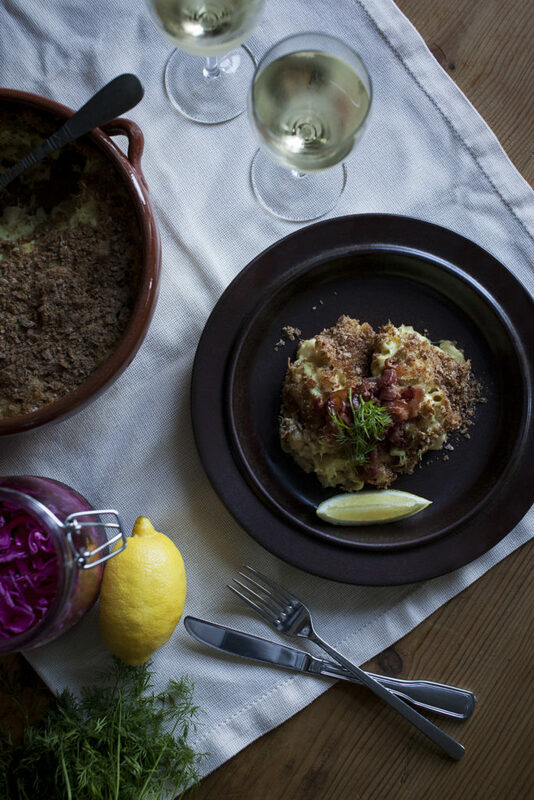 Norwegian fish gratin is kind of our weird take on mac and cheese. Originally potatoes were used, but sometime after macaroni was introduced to Norwegians in the early 1900’s, we switched over. Another weird thing is the use of curry powder, which isn’t always used but it’s not uncommon in some Norwegian fish dishes. I learned this recipe from my father who always uses a lot of curry powder. 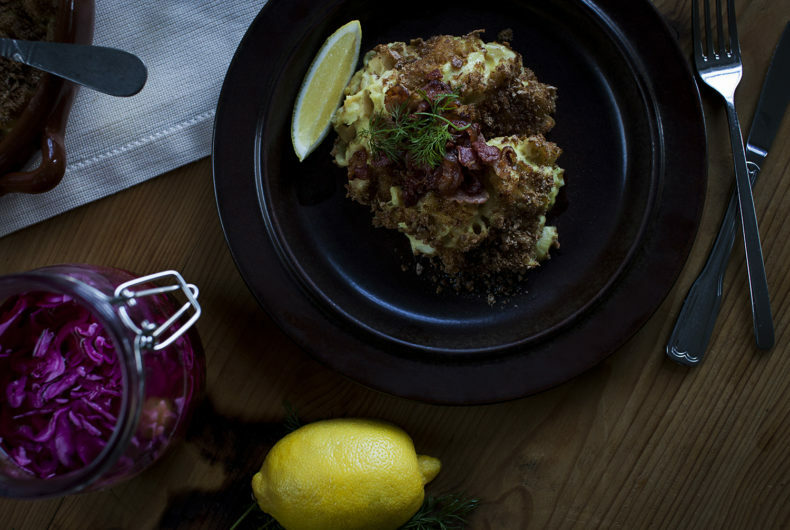 This makes for a pretty bizarre combination of ingredients, a kinda fusion of Norwegian, Italian and Indian cuisine, but ever since I was a kid this has been one of my favorite dishes. Fish gratin is actually so common here in Norway that every grocery store has at least 2 or 3 different variants of it in the frozen produce isle, right next to the frozen pizzas and such. Many of them are not bad at all, but needless they don’t come close to a good home made one. Step 2 Bring a large saucepan filled with water to a boil. Turn down the heat so it is warm but not boiling. Salt the water heavily (2 tsp), and stir. Put in the fish and leave until cooked through. 10-20 minutes depending on if you are using frozen or fresh fish. Step 3 In another pan, boil the macaroni. Step 4 Remove the fish from the water, and mash with a fork. Some people like bigger chunks of fish and some like smaller, so here it is up to you how much you want to mash it. Step 5 Melt the butter in a small saucepan over medium heat, stir until smooth and cook for a few minutes. Add the milk little by little and bring to a boil. Add the curry powder, nutmeg, and bouillon and cook for 5 minutes. Season with salt and pepper to taste. Step 6 Mix the fish, macaroni and bechamel sauce in a bowl. Transfer to a casserole and cover with breadcrumbs. Place in oven, and cook for 30 minutes or until golden. Step 7 Cook the bacon in a frying pan. Step 8 Serve the fish gratin with the bacon, a wedge of lemon and a few sprigs of dill.